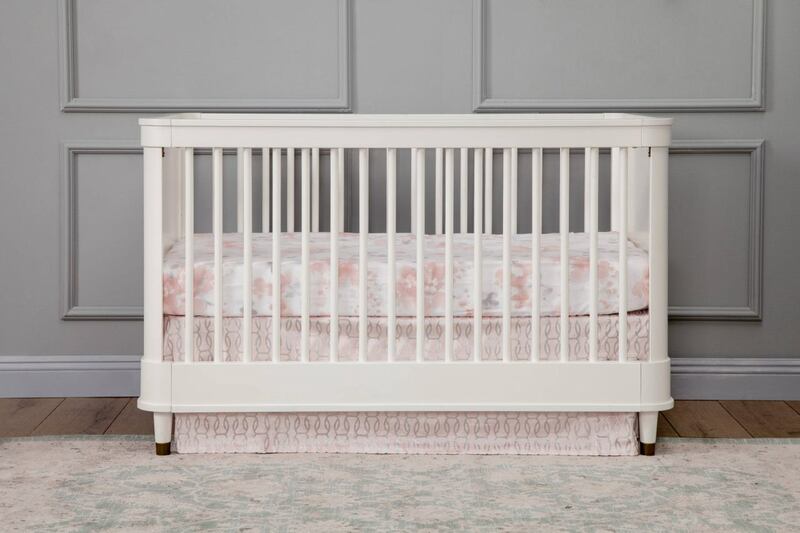 Ease into contemporary style with the Tanner 3-in-1 Crib. Featuring a gently curved silhouette with solid rounded side panels and elegant metal feet accents, the Tanner is an effortlessly transitional piece for the home. 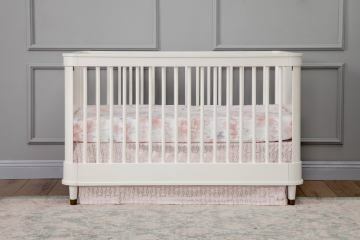 Crib converts to a toddler bed and daybed, and fits any standard full-size crib mattress. Available in a Warm White finish.